The capital of Bavaria is famous not just for its locally brewed beers and traditional taverns, but also for its beautiful landmarks, historical monuments and stunning surroundings. You’re are probably aware that Munich played a major role in the rise of the Nazi party and the devastating Third Reich. With the help of local resident tour guides, you can gain a comprehensive understanding of the events which enabled Hitler to rise to power and some of the worst atrocities of the 20th century to take place. City tours can take you to local taverns where fascist parties met, to the same city halls where the totalitarian leader made his first speeches, and to witness the many communist buildings which survived the intense Second World War Bombings. Don’t worry, it’s not all doom, gloom, and Holocaust monuments in the Centre of Munich. The city also offers fun and fast-paced sightseeing tours by bike, local Bavarian food and beer tours, Hop-On Hop-Off sightseeing buses and excursions to incredible locations in the mountains. If you prefer a more flexible schedule then Munich also offers you a city tour card, for adults or children, which gives you access to the city’s fantastic public transport network as well as discount and special offers across the city. A Full-day excursion from Central Munich to Neuschwanstein Castle. A Small group tour with an experienced local resident guide. An opportunity to learn about the King Ludwig II and the history of the castle. Meet at Munich Central Train Station and travel by German Rail to Neuschwanstein Castle. Tour the castle's interior or enjoy free time in surrounding grounds. What Travellers Say About It: This tour has a 4.5-star ranking on TripAdvisor. Most travellers say the guides are exceptional, both helpful and informative, and that tour is very well organised. 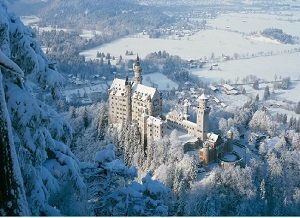 Great for people who want to explore Bavaria and learn the history of the Neuschwanstein Castle without booking private transport. This is a full day trip to 3 of Bavaria's best preserved Royal Castles. An opportunity to explore Southern Germany with an expert local tour guide. Travel by coach to Neuschwanstein Castle, Linderhof Castle, and Hohenschwangau Castle. Visit two medieval towns; Hohenschwangau and Oberammergau. Travellers say that this tour is well organised and that the guides are very informative. This is a very long day tour however comments say that the coaches are comfortable and that the castles are worth the journey. Great for people interested in history and architecture. A unique opportunity to visit the most notorious concentration camp of Nazi Germany. A fully guided half-day tour with a local resident guide. Travel by public transport to Dachau Concentration Camp. Take guided tour of the Memorial Site. Learn about to atrocities committed by Nazi soldiers in the camp. Dachau Concentration Camp certified tour guide. Most visitors have left 5-star reviews for this tour saying that it ran smoothly and that the guides are essential for understanding the oppression during the Third Reich. Ideal for people who want to learn about Dachau and the Holocausts but may not be appropriate for minors. The 24 or 48-hour Hop-On Hop-Off bus pass gives you access to all sightseeing city buses. This is an opportunity for individuals to discover the Bavarian capital at their own pace. 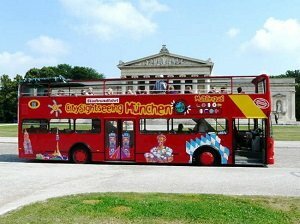 Use 2 separate sightseeing bus lines (and shuttle service to Allianz Arena) to explore the city. Save time and money with the convenient Hop-On Hop-Off bus pass and discounts to city attractions. 24 or 48-hour Hop-On Hop-Off bus pass. Positive reviews say the Hop-On Hop-Off buses are excellent if you want to see a lot of the city. Travellers say that the tour pass doesn't include as many discounts as Hop-On Hop-Off services in other cities, however the information book and map is very useful. Great for independent travellers, for people who want to see a lot of Munich, for families of all ages, and for wheelchair users. A comprehensive tour of Munich City Centre by Bicycle. A chance to explore the city with an expert local resident guide. 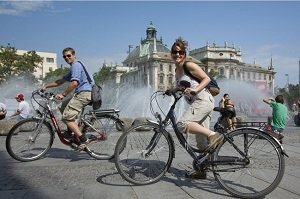 Take a 3-hour guided bike tour of Munich, including the Old Town, English Gardens and Konigsplatz. Learn about the history and culture of Munich with an excellent historian guide. Travellers have said that the tour is operated by great guides who are fluent in English, and that the tour is fantastic for getting off the ‘beaten track', although it does not allow for long stops in every location. This tour is right for people wanting a ‘whistle-stop' tour of the city and to cover a lot of ground in a short time. This is a half-day guided tour of Munich City Centre and the Allianz Arena. Drive through the centre of Munich passing many of the city's most important squares, buildings. And monuments. 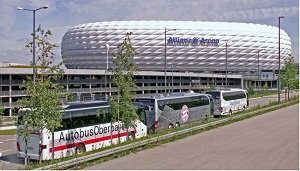 Visit the Allianz Arena or the Olympic Stadium on match days. Have the option to visit the FC Bayern Experience. Admission and tour of Allianz Stadium or Olympic Stadium. Travellers reviews of this tour are mixed. Sporting fans have left 5-star ratings for the visit to Allianz Arena, however other comments say that the city tour part of this excursion in not very informative. This tour is suitable for adults and children but specifically aimed at people with an interest in professional football. 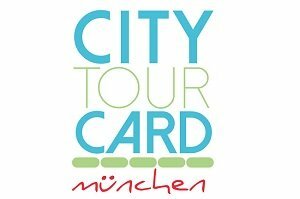 What It Is: The Munich City Tour Card gets you access to all of Munich's public transport, multiple discounts and freebies across the city. This card has two options: Greater Munich Area or Entire Network. Explore the Bavarian Capital on your own itinerary and at your own pace. Take advantage of many free entrances, discounts and special offers for tours, attraction and other venues in the city. City Tour Card for 1-4days. Travellers say that the card is easy to use and very convenient for exploring the city. Negative comments say that the most popular museums are not included in the pass, however it is useful for getting to and from Munich airport. The City Tour Card is right for independent travellers, budget travellers and people would like the flexibility to travel freely about the city. This tour specifically focuses on the history of Germany during the rise of the Nazi movement and what happened to the city under Hitler and the Third Reich. Take a 2.5-hour walking tour with a certified historian guide. See former Nazi architecture, Gestapo Headquarters, and monuments to the victims of the Third Reich. Learn about the corrupt Nazi ideology. 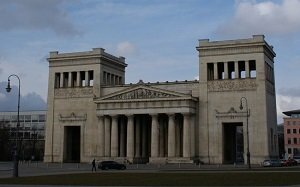 This tour has earned almost entirely 5-star reviews, travellers say that the guides are knowledgeable and sensitive, that the tour is well operated and excellent for learning about WWII and the Third Reich in Munich. This tour is aimed at adults who are interested in 20th century (WWII) history and would like an authentic tour of Nazi Germany. A full-day our which combines a guided visit to Dachau Concentration Camp and a comprehensive walking tour which focuses on the history of Munich during the Third Reich. Visit Dachau Memorial Site with a certified tour guide and take a 2.5 hour walking tour in Central Munich. Learn about the effect the Nazi party on Munich and the people who suffered during this time. Tour of Dachau Memorial Site. Travellers say that the Radius Tour guides are what makes this tour so special, guides are knowledgeable, friendly and sensitive to the topic. This tour has a 5-star ranking and has been described as well organised and reasonably priced. 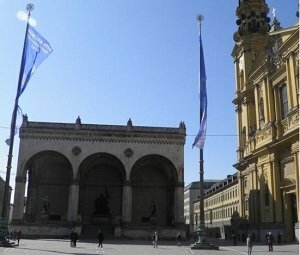 This tour is right for people who want to learn the details and the facts about Munich in Nazi Germany, however some of the content can be upsetting. This is a unique chance to dip into Munich's delicious food and drinks culture whilst learning about the city with one of Munich's local residents. Taste locally brewed beers and traditional Bavarian foods. Learn about Munich's food culture from an expert local guide. Reviews on TripAdvisor say that this is a fun and sociable tour run by guides who know the city very well. 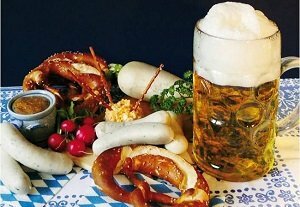 Comments are mostly 5-stars and travellers agree that the Bavarian Beer and Food Evening is a great introduction to the city. This tour is aimed at adults, although over 14's can also join. Ideal for food lovers and people who want to meet other travellers. What It Is: This is a full-day excursion from Central Munich to Salzburg, Austria with an orientation tour of the city and free time to explore. An opportunity to visit one of the best preserved medieval old towns on Europe and walk the same streets as Maria of ‘The Sound of Music'. Take the train from Munich, across the Austrian border and into the city of Salzburg. 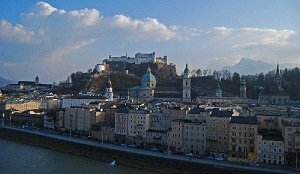 Tour the old town, see the birthplace of Mozart, the Domkirche Cathedral, and Festung Hohensalzburg Castle. 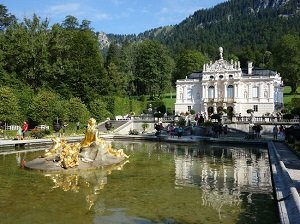 Learn about the Austrian capital from an expert guide. According to travellers the train ride from Munich to Salzburg is both comfortable and scenic. There is enough time to explore the city independently and the guided tour on arrival is informative and helpful. The Salzburg daytrip has a 5-star rating from TripAdvisor users. This is perfect for first time visitors to Europe and for people who enjoy travelling by rail. A perfect balance between a guided and self-guided tour. Take a full-day excursion from Munich to drive on the most impressive section of 220-mile-long ‘Romantic Road'. This is an opportunity to see the Bavarian Alps and visit some of Southern Germany's oldest villages. Meet with your guide in Central Munich and travel on a Greylines coach to the oldest and biggest castle in Bavaria. 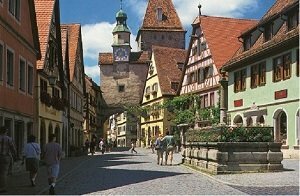 Have the option take a tour of Harburg Castle and enjoy free time in Rothenburg. See the Northlinger Reis, Dinkelsburg, and Hallertau. Some reviews complain that some locations on this tour are more touristic than authentic, however most travellers have left 4-5-star reviews, saying that it is a well organised day trip on comfortable coaches with informative guides. Ideal for adults or children, and for anyone wanting to explore the medieval gems of Bavaria with ease. 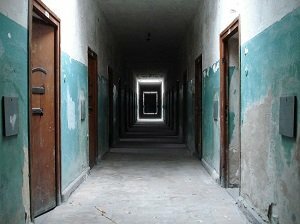 Take a trip away from the crowded streets of Munich to visit one of the last remaining construction the Third Reich. This is an opportunity to combine sightseeing in the beautiful Bavarian Alps with a visit to a genuine 20th century historic site. Travel from Central Munich to ‘Hitler's Mountain Retreat'. Ride the brass elevator the last 120 metres to the peak of Mount Kehlstein. 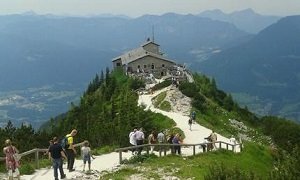 Option to tour Eagles Nest and free time in Berchtesgaden. The Eagles Nest day tour is run by highly recommended local tour companies and reviews usually mention the ‘knowledgeable guides' who operate the onboard tour. Weather conditions are very important and reviews have said that on clear days you can see all the way to Salzburg Castle. Travellers recommend visiting the Documentation Centre in Berchtesgaden. Is It Right For Me: A day-trip to Eagles nest is ideal for people who want to combine history and nature and see one of the few remaining Nazi bunkers in Bavaria.